Rides. 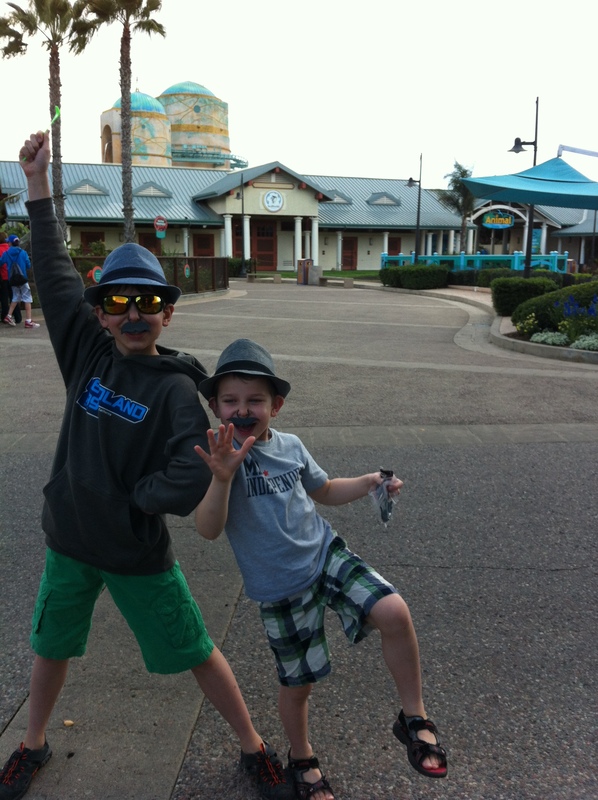 Who goes to Seaworld for rides? Well, let me tell you, everyone should. The Manta is a full-on rollercoaster. The oldest HAD to go on it. He’s completely unafraid of those things. The Prettiest-girl-in-the-world HAD to go on it. If there’s one thing she likes to do, it’s go fast. The youngest, though, wasn’t scared, no not scared, but someone, you know, had to kinda stay behind and take pictures. So I did as well. It’s the great thing of having 2 adults, (or, in our case, one adult and one 200lb confused older being). One can do one thing with one and one can do one thing with the other. Say that three times fast. But one ride he really wanted to go on. It was called the Shipwreck Rapids. It got anyone who rode on it soaked. And if there was one thing he loved more than cotton candy, it was getting wet. Turns out, I couldn’t. 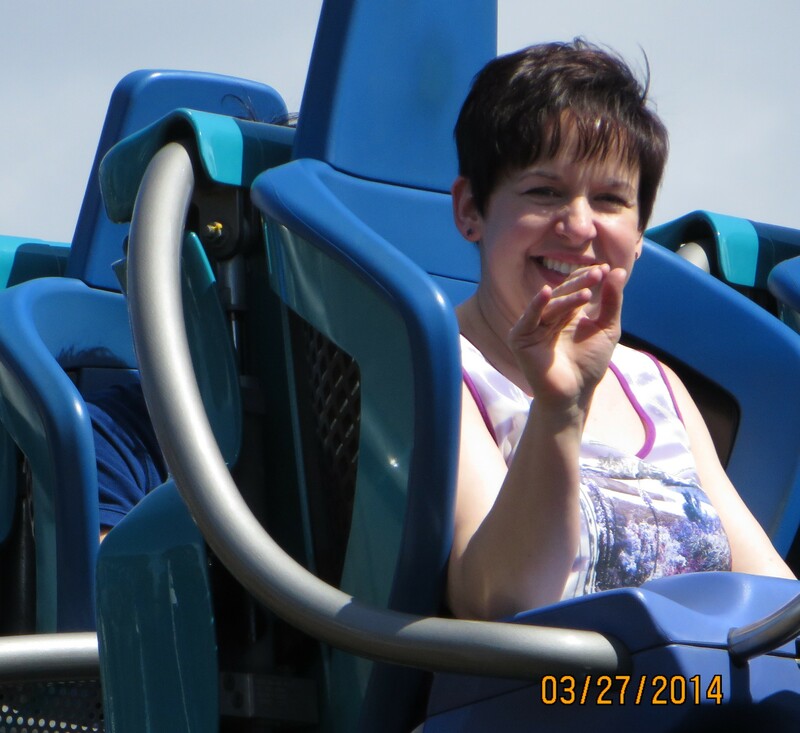 The ride had preplanned rotations. And a waterfall. So, despite the fact that the sun was out, the water was polarbear cold and somehow the ride knew which one wanted to get wet and which one didn’t. Amazingly enough, both the oldest and I were drenched after the first ride. The youngest only marginally wet. Like someone sneezed on him. So we switched seats and went again. The youngest sat where I sat. And yup, he escaped nearly all the great splashes, while I got plastered with water. He wanted to go, again, but I was done. There is only so much water I can take pooling in my underwear. We had one more ride to do. 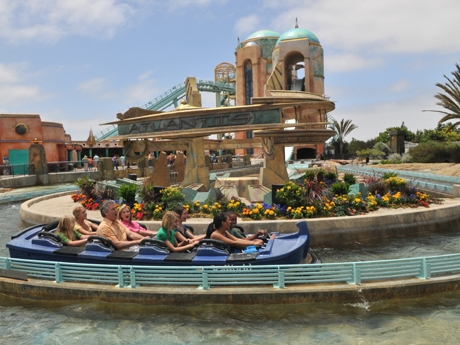 The mighty Atlantis. A rollercoaster with a good drop, a couple of testicle-shrinking curves and a big splash. The youngest wasn’t scared. No, not scared, and the Prettiest-girl-in-the-world refused to have her underwear filled with water so he had a chance to stay with her to, you know, to take pictures. No. He decided to give it a try. Here’s the thing. He was nervous. You could see it in his face. In his body language. 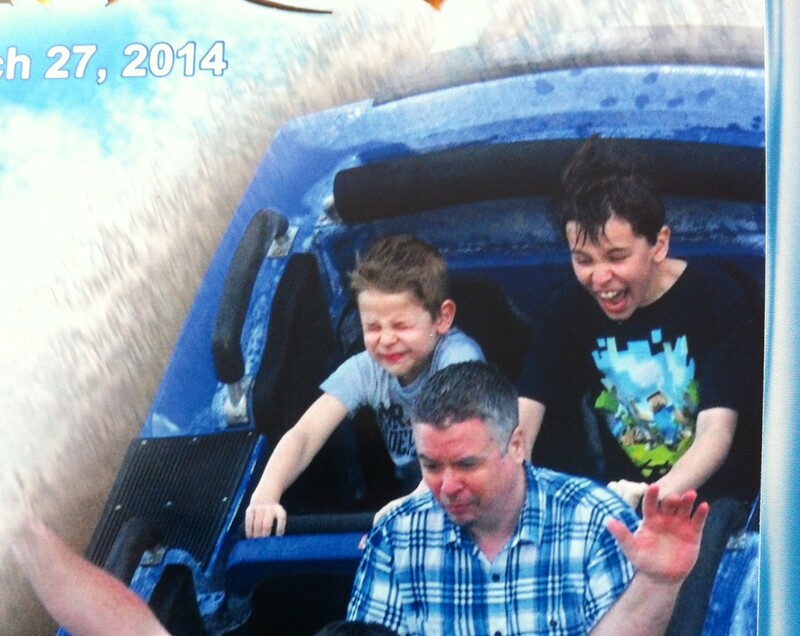 The rollercoaster was awful high and fast, but he could get wet at some point and that, I think, was the deciding factor. He talked the whole time in the very short line. Talking kept his mind off the screams. That and bouncing up and down like his feet are on fire. But he didn’t back down. Not when the rollercoaster pulled up. Not when they led us to our seats. Not when he was belted in. And then it was too late. I looked behind me to see if he was ok. I gave him the thumbs up. He gave me the thumbs up back. And the rollercoaster shot off. Up the track, then into a tunnel and DOWN. Fast. My stomach shot through my ears, I gripped the hand rail. The oldest shouted with excitement. I prayed the youngest was ok and looked back right at the moment we hit the water. He was terrified and thrilled at the same time. Exactly the experience all rollercoasters should provide. Each time, the youngest got more and more excited. Each time the fun became more powerful than the fear. Until, at the end, he LOVED the rollercoaster. He wanted to go on all of them. Everywhere. But it was getting late so we played around with a few arcade games, won mustaches, the boys hugged a big milk container, then we drove back home. We’d all had a great, great time, but seeing the youngest overcome his fear and learn to love the wild rides made the whole day worthwhile. Disneyland was looking more and more like a possibility next year. 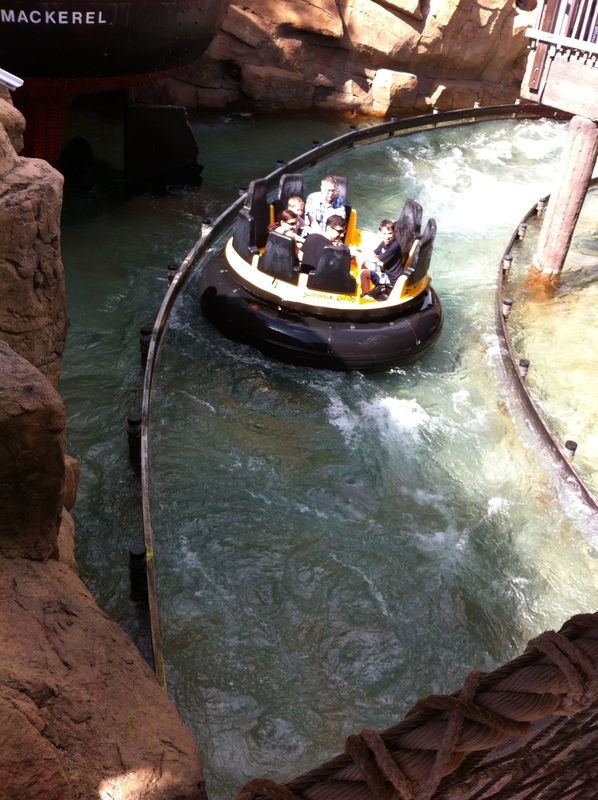 This entry was posted in Blogging, San Diego, Travel, writing and tagged Atlantis, disneyland, getting wet, humor, humour, prettiest girl in the world, Shipwreck rapids, the Manta. Bookmark the permalink.